Today the vineyard includes 26 hectares of vines balanced between the gravel soils and the clay-limestones terroirs with 50% of cabernet sauvignon and 50% of merlot. 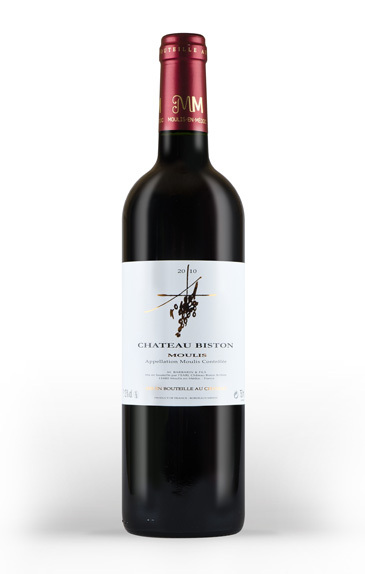 Since few years the cellars develops modern equipments to obtain full expression of the terroir and to give at Château Biston-Brillette and Château Biston a frank, elegant, modern and very entire style. Château Biston-Brillette : the spirit of a Moulis for wine-lover. Wine of character, elegant with thick and intense texture. It can be tasted at 4 or 5 years old and aged harmoniously until 8 to 15 years old depending on the vintage. Château Biston : prelude to the discovery of the Moulis. Savoury, fresh and fruity wine with a light touch of oak. We can start to drink it after bottling and up to 5 or 6 years old.